It's time to get the morning partay started! We are pumped to announce that starting APRIL 29th, the Kensington gym will be open on Mon / Wed / Fri from 7am - 8am for a NEW BOOTCAMP SERIES called WTFU (Wake The **** Up)! After a winter of serious hibernation and procrastination, its time to WTFU and get back in it. Remember that chin up you never did? The run that ended before it started? The bender last weekend? Trade it in for a different type of party. ​Join Garson / Garfield / GGG for a morning full of energy that will shred pounds, get you hype for the day, and wake you TF up! ​(Cause we know waking up is hard, you deserve it). Get some serious gains over 8 weeks (24 classes) and start feeling good as summer vibes roll into town. ​Only 12 spots available, sign up online or call us at (416) 923-5633! Our high intensity, action-packed, totally addictive 60 min grind will get you seriously strong and ready to take on your next adventure! 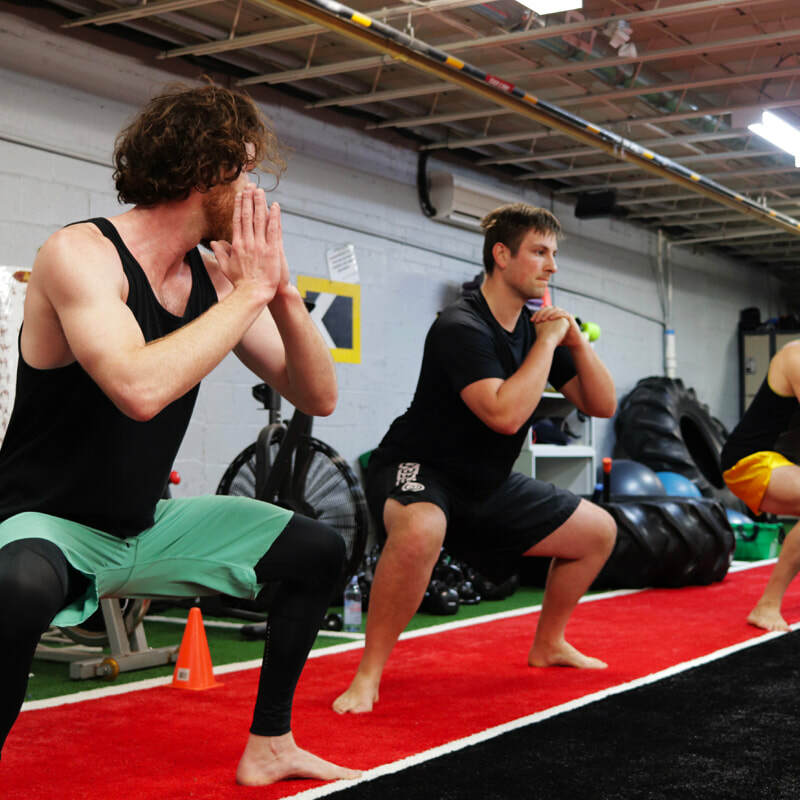 Composed of HIIT training (High Intensity Interval Training) including Tabata, Plyometrics, Cardio Kickboxing and MMA conditioning routines, our bootcamp blends martial arts and fitness giving you a total power hour! ​Get your grind on using tires, hammers, kettlebells, battle ropes, and all kinds of goodies to keep it fresh and exciting each class! Develop a faster, stronger, and more agile body while solidifying your mental strength and drawing out your inner champion. ​What should you bring? Glad you asked.